Members, do you have recent news you'd like to share? Details on an upcoming charitable event for your organization? A book you've published? Post it here and let the rest of the VAFRE community know. Please note, professional development/training/networking opportunities should not be posted here, but should be sent to admin@vafre.org to be posted on the Events page. If you have questions or need assistance with a post, please e-mail admin@vafre.org. LifeSpire of Virginia is pleased to announce that Jodi Leonard has been named Director of Development for the VBH Foundation, LifeSpire's benevolent arm, effective, January 1, 2019. 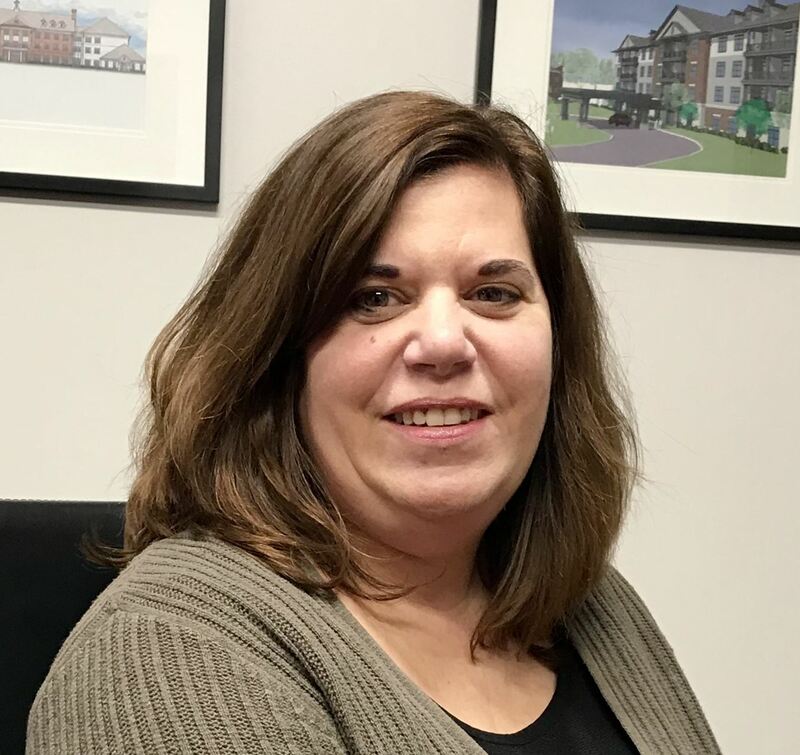 In her new role, Leonard will lead the annual planning, relationship building, and fundraising administration, which includes the annual golf tournament. "Jodi is creative, fearless, sensible, and compassionate in her approach to fundraising, and she loves working with seniors," Morris said. Prior to joining LifeSpire, Leonard served nonprofit fundraising as director of development for Safe Harbor in Henrico, Virginia; as database and special events coordinator for Mercy Medical Center in Rockville Centre, New York; and as database systems coordinator at Long Island Jewish Medical Center in New Hyde Park, New York. She holds a bachelor’s degree in business administration and received certification in fundraising from the University of Richmond’s Institute on Philanthropy. She also completed a Leadership Intensive Training for New and Emerging Directors from the Virginia Sexual and Domestic Violence Action Alliance. Leonard currently serves on the finance and gala committees for Action Alliance. LifeSpire of Virginia manages four continuing care retirement communities across Virginia, including The Culpeper in Culpeper, The Glebe in Daleville, The Chesapeake in Newport News, and Lakewood in Richmond. The VBH Foundation is LifeSpire's benevolent arm, which raises funds to help LifeSpire seniors stay in their homes when they outlive their financial resources. VAFRE is proud to announce that it is now a participating organization with CFRE International, which means our members save 20% off CFRE certification and recertification fees. To enjoy this discount, check the box inside your CFRE online application that indicates you are a VAFRE member. Start your CFRE application now at https://cfre.secure.force.com/siteregister. Beer. Dessert. Cut-throat competition. What more could you ask for? The Better Housing Coalition's second annual Gingerbread House Challenge on Sunday, November 4th from 12-5PM at Hardywood Craft Brewery dares 24 local business, nonprofit and student teams to display their holiday spirit and creativity by constructing a gingerbread house centered around the 2018 theme: “Holiday Movies.” If you’re a fan of festive craft beer, delightful desserts turned into architectural masterpieces and a jolly good time for the whole family, ‘yule’ love this event! Thanks to the goodwill of Hardywood Park Craft Brewery, this exciting event coincides with the release of their popular Gingerbread Stout (which BeerAdvocate calls “freagin’ Christmas in a bottle.”) So much fun! The event is free to attend, but you'll want to vote for your favorites to win cash prizes. VIP tickets are $20 and include 2 votes, 1 Hardywood drink ticket, an exclusive VIP cup koozie and a gingerbread cookie. Plus, we've got food trucks, a slate of celebrity judges, and Gelati Celesti is creating a special gingerbread ice cream just for this event! Don't miss out! Get details, see a video from the 2017 Challenge, and get tickets here. See you there! All proceeds benefit BHC's mission of changing lives and transforming communities through high-quality, affordable housing. I am somewhat new to VAFRE and Richmond, so by means of an introduction I wanted to share an interview from yesterday. The interview covers my path to ChildFund, my connection to Ecuador, the province of Tungurahua, how poverty manifests itself there, how our programs address the root causes of poverty, a few examples of youth who I have met there and our organizational goal to partner and collaborate with civic groups, schools, churches, and community groups going forward. Please have a look and let me know if you can think of ways to partner here in Richmond! Thanks! Ed Kardos, long time VAFRE member is happy to announce the release of his latest book, THE RINGS: Journey Beneath Sirok. Book II of THE ELIAS CHRONICLES, he announced the release of Book I, THE AMULET: Journey to Sirok in Summer of 2017. Please share his good news with others who you think may value a journey of discovery that stretches the imagination of both the young and the young at heart. In his words, "No kidding, it really does that." Ed is the Senior Director of Development at the VCU School of Education. He has held many posts at VAFRE to include President and is the 2004 recipient of the Nina Abady Award. He has been in development work only a month longer than his membership in VAFRE--35 years. Preservation Virginia is among the inaugural class of grantees of the National Trust for Historic Preservation’s newly established African American Cultural Heritage Action Fund. The private non-profit was awarded $75,000 to conduct a two-part economic study of Shockoe Bottom. The study will make the case for developing the historic area as a heritage tourism destination through the creation of a memorial park while embracing equitable economic revitalization. Read more from Preservation Virginia. On a street that once marked the boundary between black and white communities in Richmond, Va., a gleaming new Institute for Contemporary Art is set to open this spring with an exhibit called “Declaration” that will boldly confront pressing social issues in a city that was once the capital of the Confederacy. Designed to explore contemporary art’s power to catalyze change, the inaugural exhibit will feature many site-specific works by 33 emerging and established artists from Richmond and around the globe, including Paul Rucker. Read more of this article from The New York Times. Click here for other recent Industry & Business News. Click here for other recent VAFRE News.